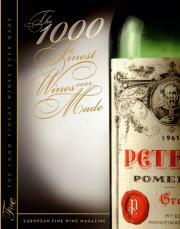 This book is the first book in the history of wine that has rated the 1000 best wines ever made. The rating bases on the vast tasting experience shared by FINE European Wine Magazine contributors. The book was launched on November 12th 2007 and it sold out immediately. It is now available to purchase!